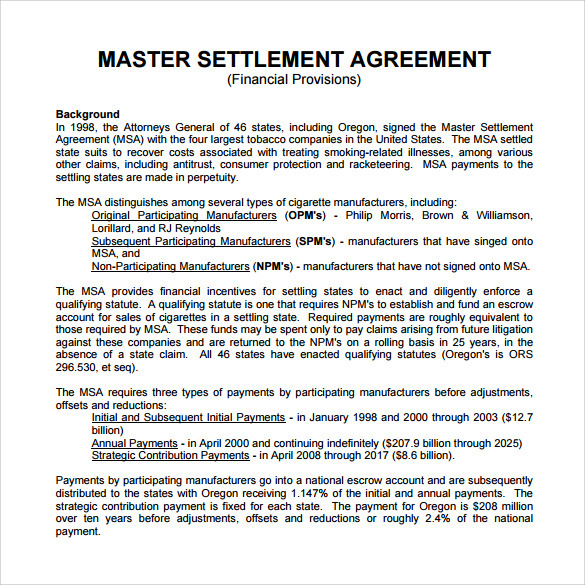 Master settlement agreement was made in the year 1998 between the state Attorneys General of 46 states, five U.S. territories, the District of Columbia and the five largest tobacco companies in America concerning the advertising, marketing and promotion of tobacco products. 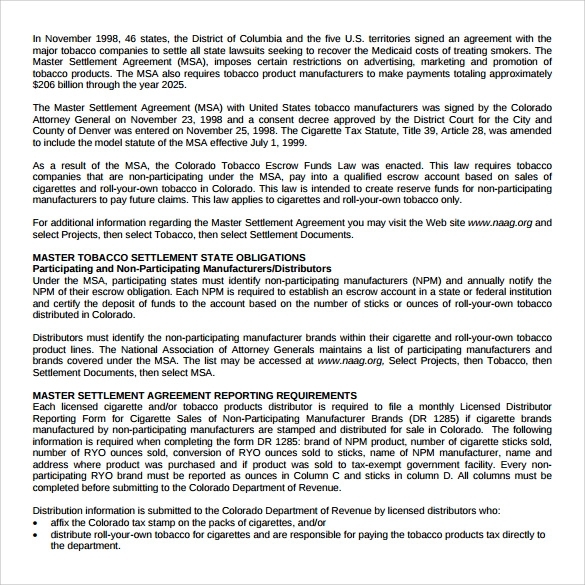 The MSA forbids the cigarette manufacturing company to target the youth directly or indirectly. 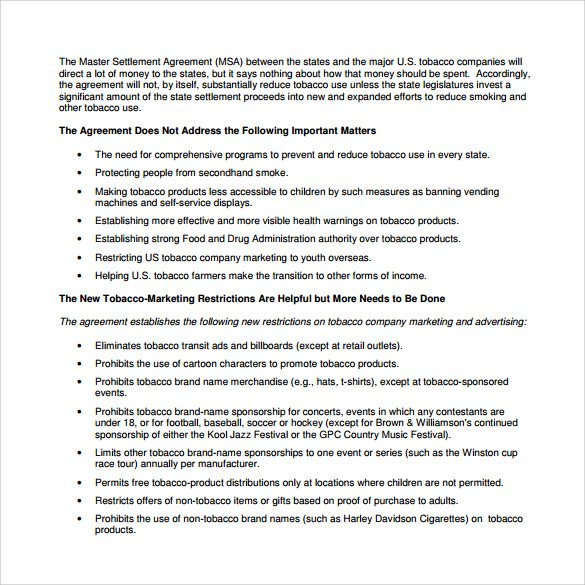 It also imposes ban on advertising and marketing of harmful products. 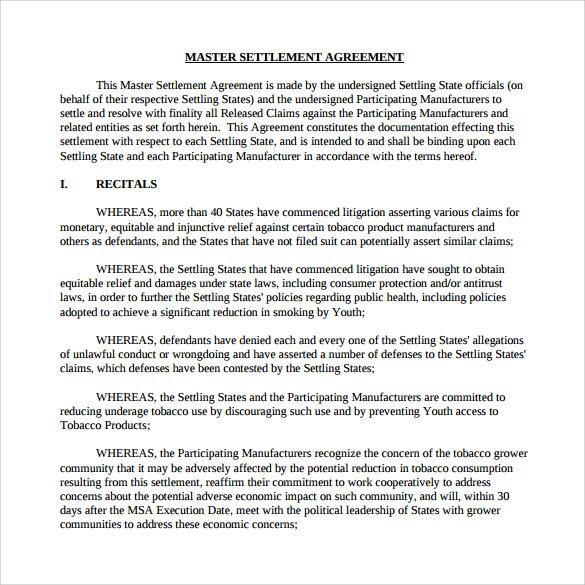 The agreement has affected largely to tobacco manufacturing companies and stopped young generation to get affected. 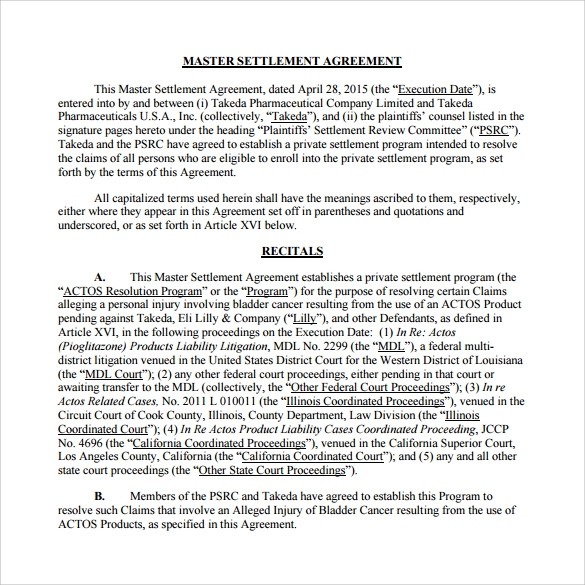 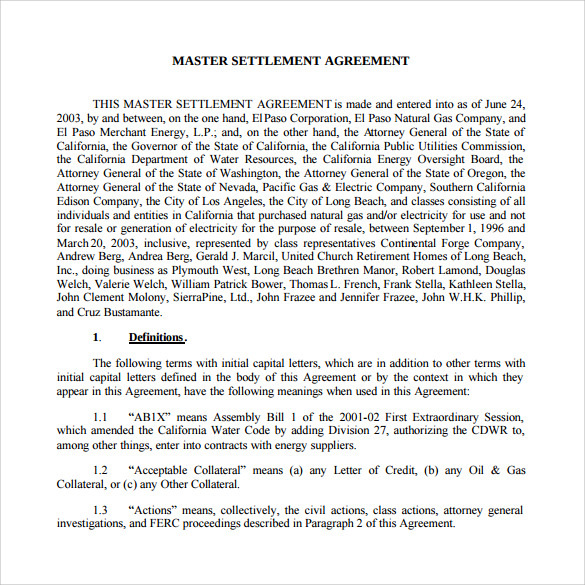 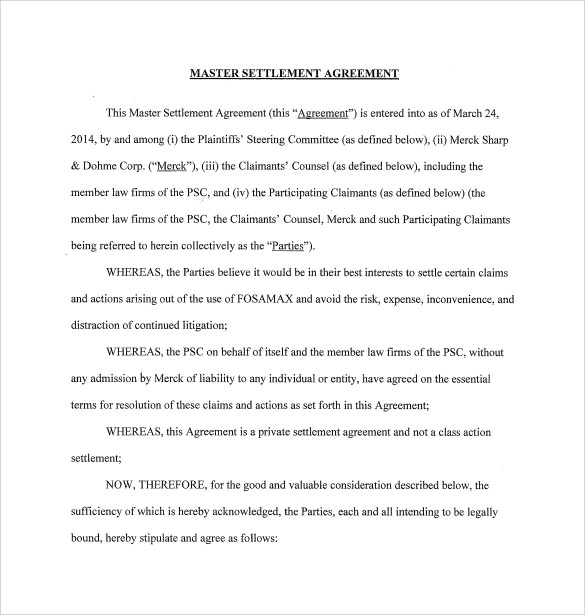 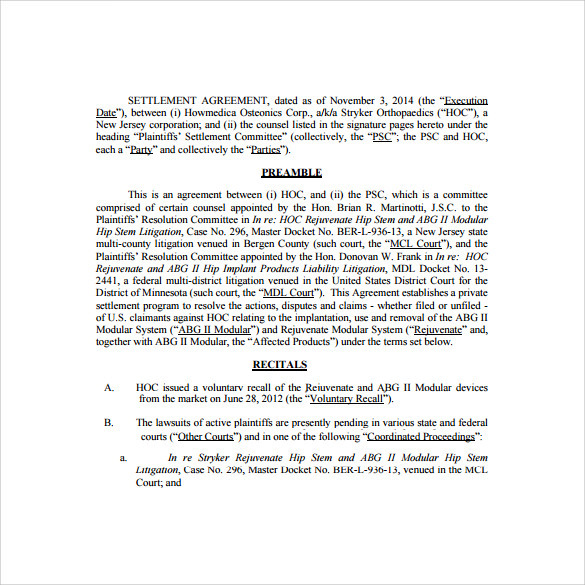 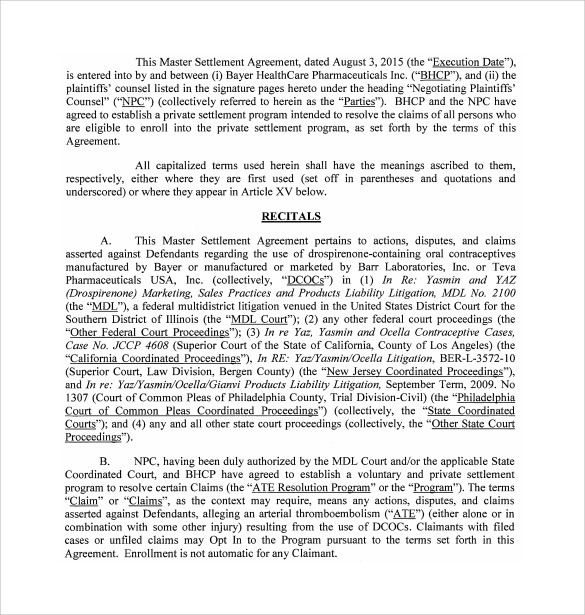 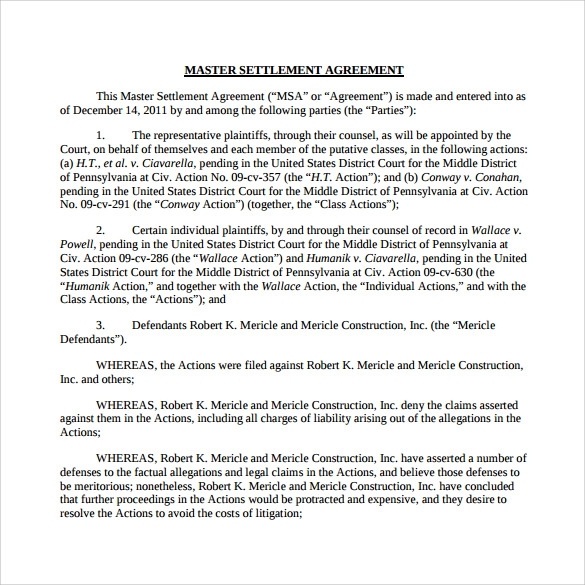 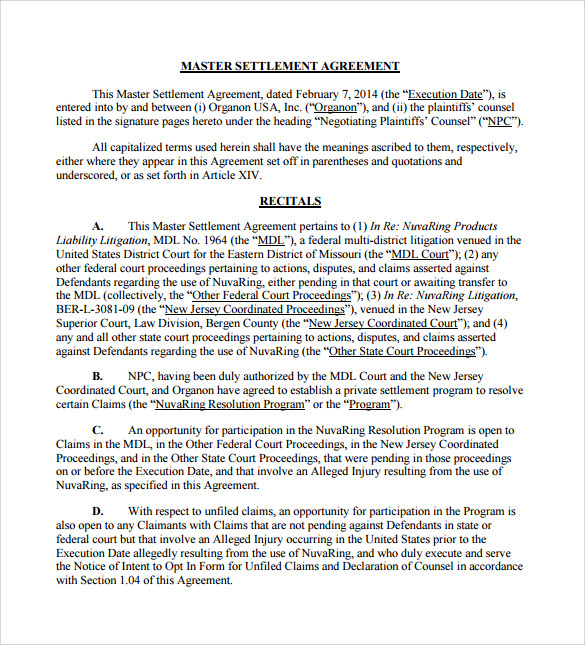 Sample of the master Settlement Agreement Templates in word and PDF file in available online to check the format.